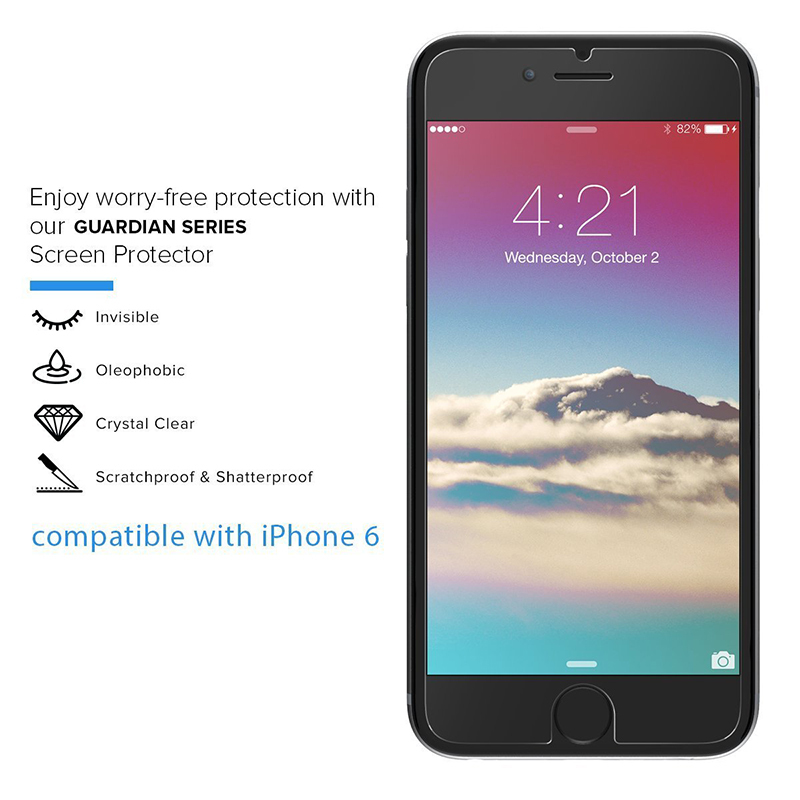 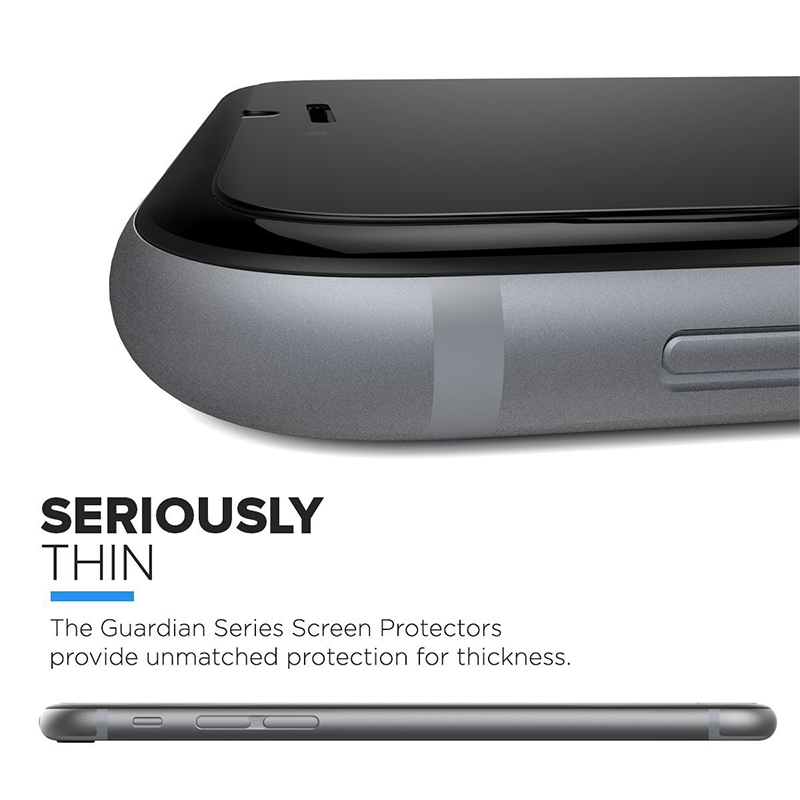 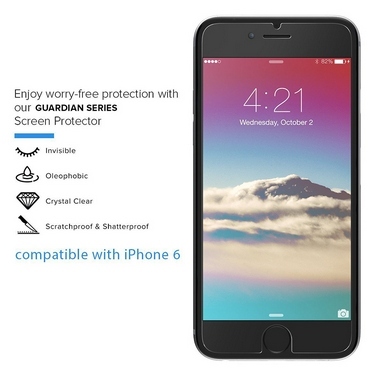 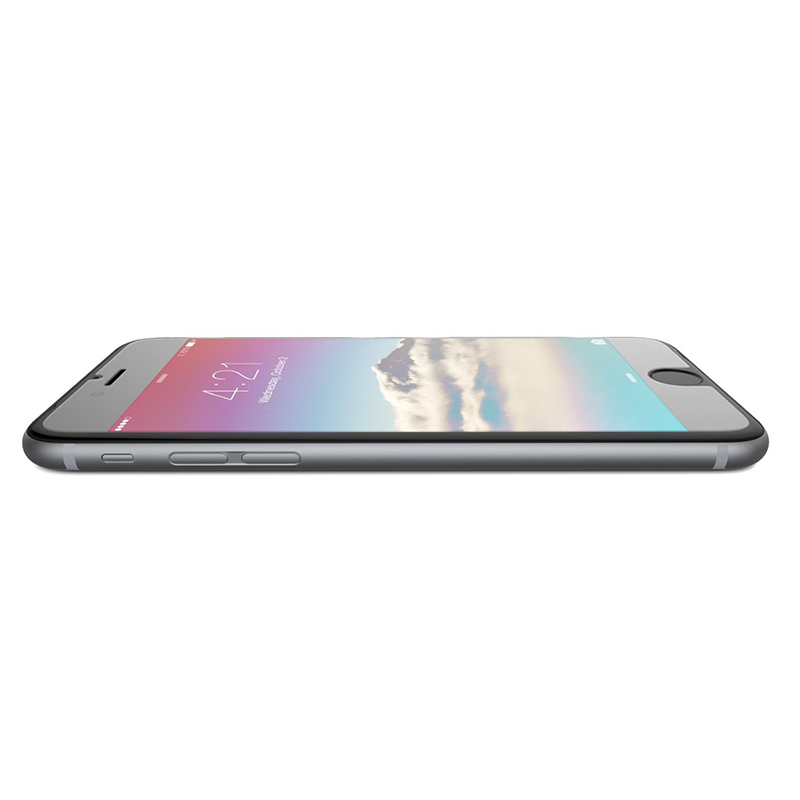 Enjoy surface protection with our Flexion™ Guardian Series Screen Protector for the iPhone 6. 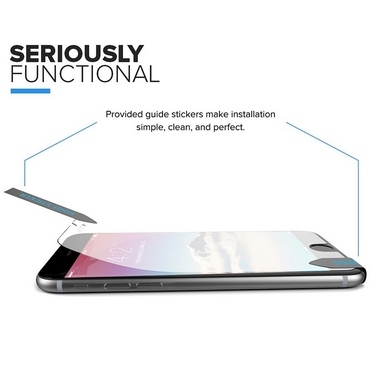 Designed with precision in mind : screen protector cut-outs fit perfectly over the flat portion of the screen. 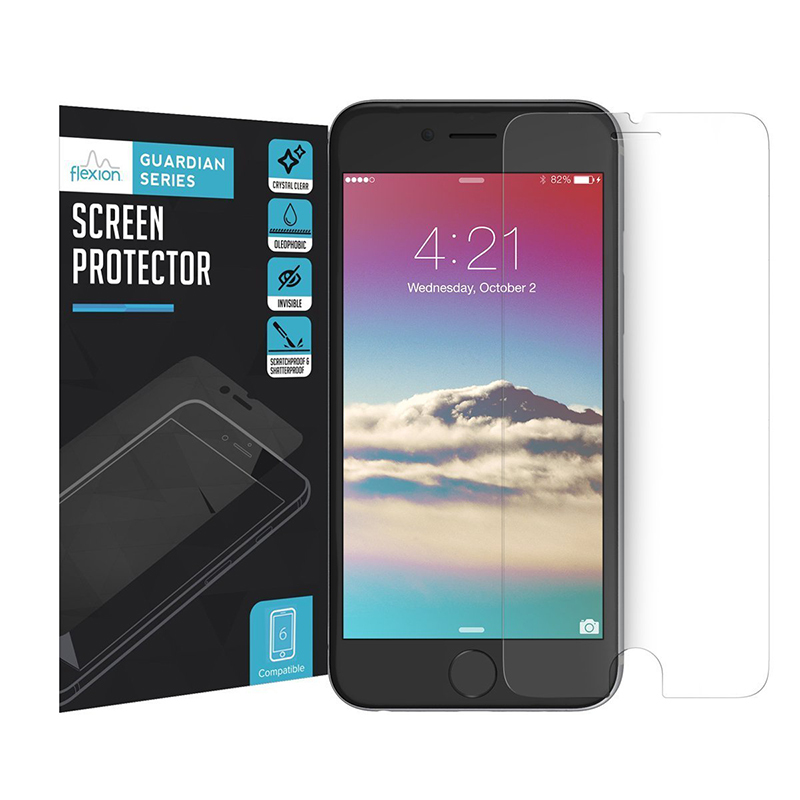 Everything-proof: our anti-shatter film finishing makes the screen protector oleophobic (anti-fingerprint), scratch resistant, and shatterproof. Seamless phone integration: our ultra clear glass has 99.9% touchscreen sensitivity, rounded edges, and bubble-free installation.